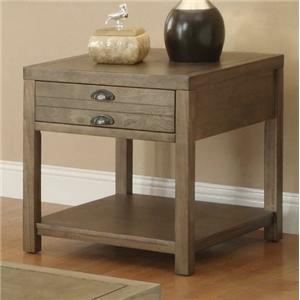 Transitional style takes on a rustic feel with this rectangular end table. 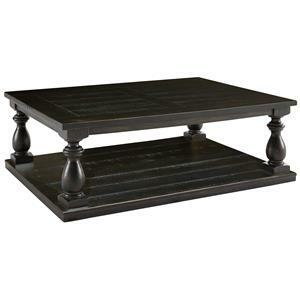 It features black finish thick pine veneers with wire brush and saw cut accent planks for a lived-in feel. 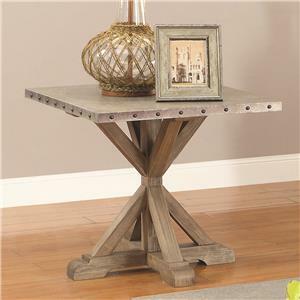 Supported by turned posts, this table will look great in any decor style from eclectic to farmhouse. 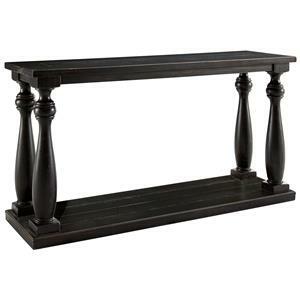 The spacious top and lower shelf provide ample space to display accents and store other items within easy reach. 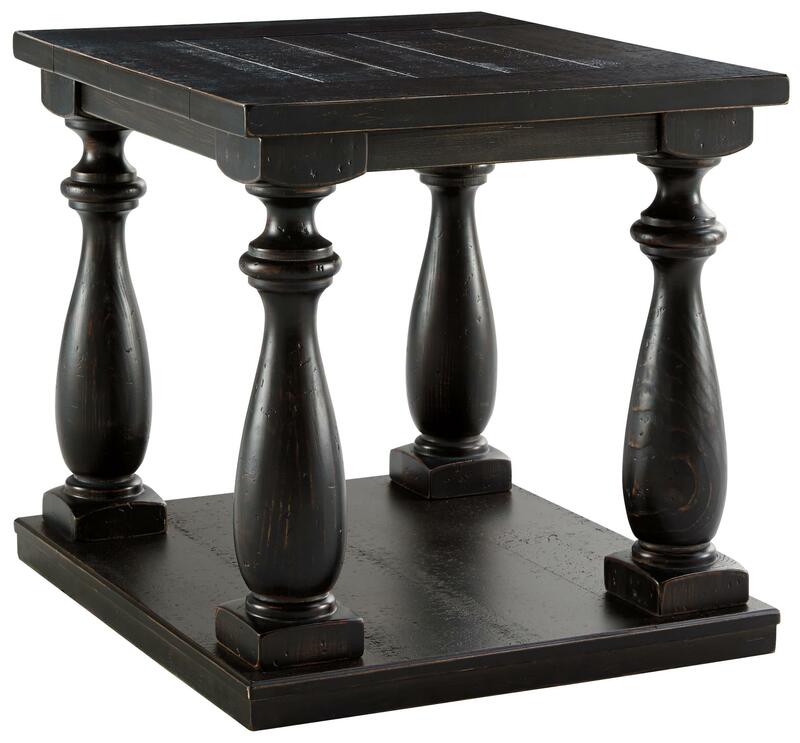 The Mallacar Rustic Black Finish Rectangular End Table by Signature Design by Ashley at Value City Furniture in the New Jersey, NJ, Staten Island, Hoboken area. Product availability may vary. Contact us for the most current availability on this product. 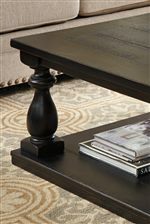 The Mallacar collection is a great option if you are looking for Relaxed Vintage Transitional furniture in the New Jersey, NJ, Staten Island, Hoboken area. Browse other items in the Mallacar collection from Value City Furniture in the New Jersey, NJ, Staten Island, Hoboken area.